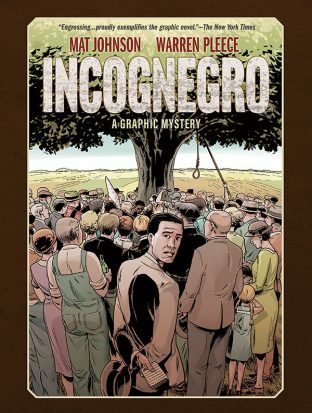 Incognegro is a story of disguises – a black man hiding as a white man, a woman hiding as a man. Sometimes, we can’t even make out who these others are… their faces are literally gone. It’s a mystery on multiple levels. Trigger warning: Incognegro is a scary, bloody and violent book. It opens at a lynching, and your eye is immediately drawn to a man hanging from a tree. In a word, Incognegro is shocking. But the violence, hatred and blood shed aren’t mere shock value. It’s immediately obvious that author Mat Johnson is more clever and creative than that. But some of you might already know this, as Incognegro was originally released in 2008. I was “out” of comics in 2008, so this reissue (part of Dark Horse’s Berger Books initiative) is new to me. I happened across the recently released Incognegro: Renaissance prequel miniseries and decided to take a step back to the original source. I’ll admit to an initial cynicism, just from hearing about a prequel created some 10 years after the original. Then throw in the politically and socially charged subject matter of Incognegro; sure, there are more stories to tell in this world, but would these stories diminish the original? I thought it best to quit complaining and actually read the original. Zane Pinchback is an undercover journalist based in Harlem, New York, and his nom de plume gives title to our tale. Pinchback is a light-skinned African-American, enough so to pass as a white man. He’s tasked with investigating and revealing lynchings and other racially motivated hate crimes. He longs for something more prestigious and less dangerous. When Pinchback hears that his brother Alonzo has run afoul of the law back home in Mississippi, his newspaper assigns him to write about it, but Zane tasks himself with rescuing his Alonzo. Completely against Pinchback’s orders, his friend Carl (also light-skinned enough to pass as white) tags along on what he misguidedly believes will be an adventure. 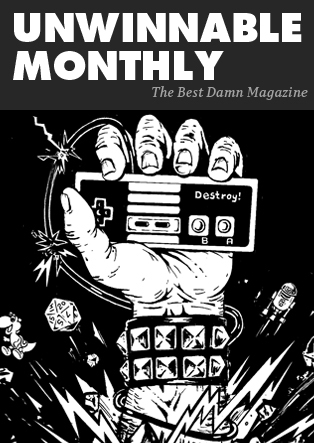 I don’t want to spoil things for those like me who are coming to Incognegro as a fresh tale, but things go terribly wrong for everyone in some way. Many principal characters do not make it to the end of the book. The brothers Pinchback ultimately do get out of Mississippi, but carry the weight of the deaths they witnessed. Incognegro is a book that can stand up to multiple readings, so if you read it on initial release, you’d do well to come back for another go. In his introduction, Johnson writes about growing up as a light-skinned black man in what he identifies as “a predominantly African-American neighborhood.” He touches on his struggles fitting in and his inspiration for writing Incognegro, including the inspiration he found in his twin sons who, for all intents and purposes, look worlds apart. He sets a somber tone, but it doesn’t get maudlin. Artist Warren Pleece keeps his depictions of people and scenery as realistic as possible. Combine this with his choice to use black and white (instead of color) and the book has a cinematic look and feel to it. Were this a film, I’d imagine no musical score in the background, only the sounds of life. I felt like I could hear this throughout my read. To come back to my earlier question – would knowing more about this world diminish the original?From reading issue #1 of Renaissance and now reading the original: no. I enjoyed and was sufficiently moved by both. I look forward to a future read of Incognegro to see if any further layers are revealed. And I’ve already added a few of Johnson’s novels to my reading list.